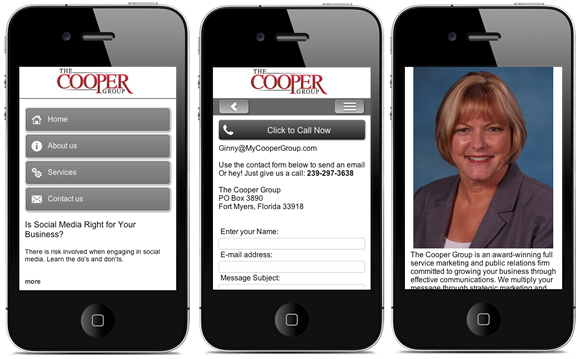 The Cooper Group is a PR & Marketing agency that has partnered with Upton Technology Group for many projects. The mobile website is kept in synchronization with the desktop site automatically and needs no additional maintenance by The Cooper Group. Update your desktop site, and the mobile site follows automatically!